Submit your images to be considered for inclusion in our Image Gallery or email a link to your Instagram shot(s) to instagram@burningman.org. We’ve got this awesome YouTube channel. 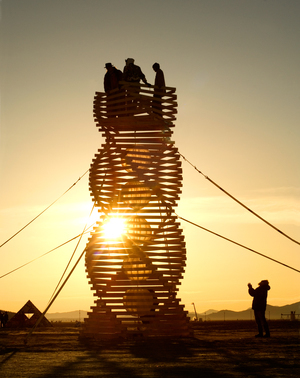 Submit your video for consideration by emailing press@burningman.org. We maintain a historical archive of Burning Man artifacts — gifts, trinkets, shwag, stickers, t-shirts, and the like — and we’d love to have yours in our collection! Got an event you want the world (and we do mean the entirety of the Burning Man diaspora) to know about? Or an opportunity to participate? Or some cool news we should be sharing with our community? Submit it to the Jackrabbit Speaks.